Brexit: what’s honesty got to do with it? How To Find New Clients As A Consultant? If you’re trying to grow your small business or simply manage how tasks are done, outsourcing could be just what your business needs. Many entrepreneurs are under the impression that outsourcing is only for big companies with plenty of disposable income. While small businesses and freelancers are often the outsourcing solution used by big companies, more and more small businesses and entrepreneurs are starting to realise the benefits of outsourcing for their own business. The powers of technology are making outsourcing a viable option for small business owners, giving them more time to focus on the core tasks of the company. Like many things in business, there are risks to outsourcing, but when managed correctly, outsourcing can be a game-changer for SME’s. Businesses that decide to outsource find that they can manage their time better and focus on the company’s core competencies. Many entrepreneurs think they can do it all, but by eliminating the most time-consuming tasks, they can focus on the areas that really make a difference to the business. Outsourcing means business owners have a greater capacity to set goals and find new ways to grow. Not everyone is good at everything and many entrepreneurs struggle to perform in areas that they either do not enjoy or are just not very good at. Outsourcing is an excellent way of delegating someone else to tackle the tasks that business owners consider themselves weak at so that they can focus on their strengths. Outsourcing helps to build a team of professionals with a diverse set of skills in a range of areas without employing multiple full-time roles. Outsourcing can enable businesses to utilise the skills they need, when they need them, without the commitment of paying employees a salary – not to mention the hassle that can come with managing staff on a daily basis. For businesses that are currently juggling every task in-house, outsourcing could be considered as an extra cost. However, the benefits of a job done well could outweigh the additional cost and even result in a more profitable business long-term. If outsourcing means that the quality of the work is higher, this could improve the business’ revenue, making it an affordable way for entrepreneurs to grow their business. When is the right time to outsource? Before a business outsources, they need to be able to afford to pay for the services they require. This is usually harder for start-ups as cash levels are typically low in the early days. Alternatively, some start-ups and small businesses outsource from the very beginning for services such as bookkeeping or virtual assisting. The great thing about outsourcing is that it offers businesses the flexibility to test things out. If you are not happy with a particular service or need to reduce costs, you can simply stop outsourcing or find another provider that offers a service that suits your business better. Can I afford the cost of outsourcing? Would the cost directly benefit my business? What do I need to outsource? Can I do this task myself? Will outsourcing bring additional knowledge and expertise to my business? Will outsourcing take care of my weaknesses so I can focus on my strengths? Which area of my business should I outsource? Advances in technology mean that almost every task can now be outsourced and more and more qualified professionals are leaving their jobs to become full-time freelancers or contractors. However, just because there are plenty of options to outsource specific tasks, doesn’t mean they should be outsourced. 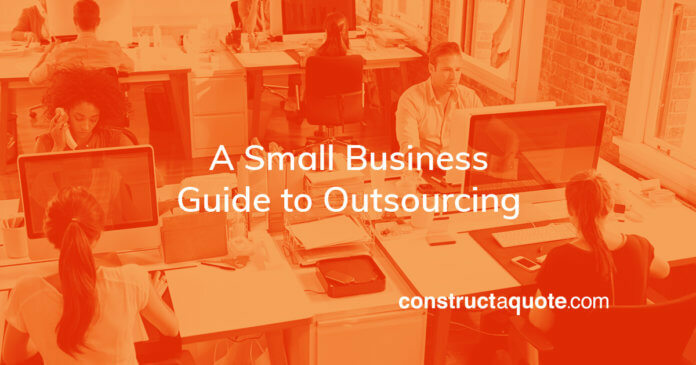 It’s down to the business owner to establish if the business should outsource any of its tasks, and what area will benefit the most from outsourcing. Outsourcing an executive role such as a CFO to come into the business on a monthly basis and carry out financial analysis. Outsourcing the time-consuming essential tasks that need to be done regularly such as accounts, data entry and inventory to free up time. Outsourcing someone with specialised knowledge such as a marketing consultant to provide advice on how to create a marketing strategy in order to increase revenue. Outsourcing doesn’t just have to be for day-to-day tasks and even whole departments such as marketing and sales can be outsourced to a third party. Business owners should decide which area will have the most significant impact on the business and help the company grow. Should I choose a freelancer or an agency? Once the decision has been made to outsource, the next decision is to find a partner that works for you. This can depend largely on the area you are outsourcing. For example, if the business is looking to outsource the whole marketing department, an agency could be a better option as they’ll have a pot of experts to help on projects. However, this doesn’t mean that a freelancer or contractor won’t have the same knowledge and expertise. Some people prefer to deal with freelancers over agencies due to the more personal approach they provide and the ease of having one person of contact. Nothing beats great word of mouth referrals and asking those in your current network who they recommend is a good place to start. Social media networks such as Twitter and LinkedIn also make it easy to find professional help at the touch of a button. Before taking the leap with a freelancer, contractor or agency, the business owner should ensure that they are able to carry out the work needed and deliver the results expected. Some providers focus on speed at the expense of quality, or vice versa. To avoid selecting the wrong one, a clear conversation with the contractor discussing the key performance metrics is essential. In general, you get what you pay for, but this isn’t always the case when it comes to outsourcing. Agencies tend to have a variety of mixed abilities and skills that work together to get a project completed. But they also have more overheads to cover so the cost of outsourcing with an agency is usually higher than with a freelancer. Alternatively, a quality freelancer with years of experience may do a better job than an agency at a cheaper rate. While the reduced cost of a freelancer may be appealing, it’s important to make a decision based on which solution will provide the best results for the business. Business owners should make it clear, verbally and in writing, what is expected from the agency or freelancer from the get-go. This way there can be no confusion between either party. Initially, there may be a few questions back and forth on both sides while the outsourcing provider becomes familiar with your business. After this period is over, it’s then down to the contractor to be left alone to get on with the tasks assigned to them. While many outsourced providers will be happy to be at the end of the phone when you need them or reply to emails promptly – it’s important to remember that outsourced providers are not your employees. The whole point of outsourcing is to let someone else get on with the task. If you’re trying to micromanage the contractor – you’ve missed the entire point of outsourcing. There’s no denying that outsourcing can reap enormous benefits for businesses when harnessed properly. However, that’s not to say it comes without its challenges. Even if the contractor has the best intentions of doing a great job, sometimes things can go wrong, such as missed deadlines and failing to achieve the results you were expecting. Other things to consider if you’re outsourcing to another country includes time zones and language barriers as this can cause major headaches and communication issues. Just like hiring a new employee, there are security risks when handing tasks over to an outsourced provider where customer or client data is involved. Business owners need to consider who will have access to sensitive data and make sure security measures are in place for it be managed correctly and prevent a costly data breach. You can check out our guide on the new General Data Protection Regulation 2018 (GDPR) for more information on how to manage sensitive data here. Being in business comes with a whole host of risks, and although there are some things to be aware of when outsourcing, the benefits can be huge for companies that manage their outsourcing well. Need insurance for your business? At constructaquote.com, we’ve been insuring businesses for over 27 years. Find the policy that’s right for your business and get a quote at constructaquote.com.